RankMonsters will help your Nonprofit apply for and obtain the Google Ad Grant. We are Google Certified Partners, and we have extensive skills and experience in maximizing the opportunities provided by the Grant. We are a proud member of the Google Ad Grant Certified Professional Community. As one of the 16 certified agencies Worldwide, you can be sure our work is high-quality and recognized by Google. If your organization is a registered 501(c)(3) Nonprofit, you may be eligible for the Google Ad Grant program. The Google Ad Grant program is a part of the Google for Nonprofits initiative. This special program gives nonprofit organizations access to $10,000 a month in in-kind advertising credit to use on Google Ads. RankMonsters works with Nonprofits in the US and Canada. You’ve seen Google Ads in action, even if you don’t realize it. Google Ads is Google’s native advertising program. Using Google Ads, you can place text advertisements for your organization or services above search results in Google. 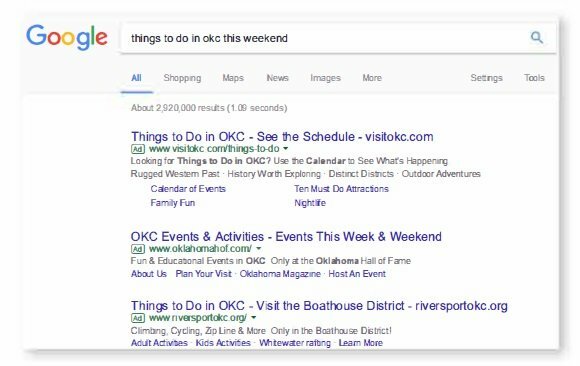 Advertising allows your ads to appear alongside search results for popular search terms in front of tens of thousands of searchers. The Google Ad Grant allows your ads to show up at the top of search results for your main keywords. With this program you can increase your online exposure and appear in front of your target audience any time they are searching for your services. The Google Ad Grant lets you advertise your nonprofit’s services and products to searchers online. Using the Ad Grant, you can reach a much wider audience of motivated searchers with advertisements targeted to the keywords they are looking for. The Google Ad Grant allows you to reach out to potential donors and volunteers online. With this program you can target ads specifically to donors looking for nonprofits to assist or to volunteers looking for an organization to work alongside. Google Ads makes it easy to advertise events and special occasions without expending extra funds. The Ad Grant even allows you to target your ads to people seeking events or activities in your location to help increase attendance and reach more people. Using the Google Ad Grant your ads can appear in searches broadly related to your services. This can allow you to increase awareness of your organization and brand among the general public, or to build interest in one part of your organization’s offerings. When you use Google Ads, you receive valuable data about the people searching for your keywords and clicking on your advertisements. This data makes it easier to target future ads, and it also provides valuable insight into your online audience. A Google Ad Campaign allows your organization to increase its online visibility through targeted keyword advertising. Your website will be highly visible in search engines for keywords related to your services and online goals. Getting your advertising in front of your target market online will drive traffic to your website. The Ad Grant allows your organization to take advantage of Google’s search advertising network without disbursing tens of thousands of dollars in ad costs. RankMonsters can help your organization manage your Ad Grant, ensuring your organization stays within Google’s guidelines and maximizes its daily and monthly budget. The Google Ad Grant gives 501(c)(3) organizations access to $10,000 per month, or approximately $329 per day, in in-kind advertising credit to use on the Google Ad Platform. The grant is part of Google for Nonprofits, a set of offerings open to qualifying nonprofit organizations. Your account and website must have conversion tracking set up, and must use the automated "Maximize Conversions" bid system. Your campaigns must use keyword-based targeting. You must manage your account according to Google's Ad Grant Account Management Policy. Schools, childcare centers, academic institutions, and universities (however, philanthropic arms of educational organizations are eligible). For more information about organization eligibility and guidelines, you can visit the Google for Nonprofits Eligibility page. Visit the Google for Nonprofits enrollment page and follow the instructions provided. You will need to follow Google's qualification and eligibility guidelines and ensure your account is set up correctly before you activate any products through Google. TechSoup validation token – If you do not have a TechSoup account or are not sure, we will walk you through creating one or gaining access to it. Information about your organization and your goals for Internet Marketing (for instance, who your organization is trying to target or reach and why). Your website login information in order to setup conversion tracking. This is a new requirement as a part of the application process. Access to your Google Analytics account to setup goals based on the conversions setup on your website and to link the Google Adwords grant account. We will walk you through adding us to your account. If you do not have one, we will set one up for your organization. RankMonsters is a full-service Internet Marketing Company that specializes in administering the Google Ad Grant for Nonprofits. We are passionate about working with charitable organizations and helping them succeed online. The RankMonsters team has years of experience applying for and managing nonprofit-focused marketing campaigns. We can help you avoid getting denied or rejected, and we can appeal suspensions or rejections from the past. We have studied the requirements and guidelines for the programs carefully and can ensure your accounts are set up the right way. We are also proud to be a member of the Google Ad Grant Certified Professional Community. As one of the 16 certified agencies Worldwide, you can be sure our work is high-quality and recognized by Google. Once I am approved for the Google Ad Grant, how much is it going to cost me to manage the campaign? Applying for the Google Ad Grant is a FREE, no obligation service. Once approved, you can can choose to have RankMonsters create, maintain & maximize the Ad Grant Campaign or you can manage the campaign on your own. RankMonsters charges a monthly management fee to create, maintain & maximize the Ad Campaign once approved. Because the $10,000 monthly Google Ad Grant is a credit, your organization will be responsible for our monthly management fee. Our no contract month-to-month services makes it easy for you to get started. Increase your visibility on Google today! Our team will meet with yours to discuss your online goals and objectives. We’ll work with you to structure your campaign in a way that generates the results you want from your Ad Grant. We perform detailed keyword research to find out how people are searching for your organization or your services online. We will then use these keywords to design targeted advertisements and to update the content on your website to capture searches and conversions. To capture the most searches online, we will structure your Google Grant with multiple Campaigns and Ad Groups. This helps gain more online visibility and lets us better maximize your budget. Our in-house content creation team will create text-based ads that meet the quality guidelines. Our ads are designed for high quality score and clickthrough rates. We will send all content to you for approval before it runs online. One of the most important parts of a successful advertising campaign is where your visitors end up when they click. A good landing page helps your ads perform better and keep visitors on your site. We offer content creation services to help make your landing pages perform better, as well as landing page design to improve their look and feel. Ad Grant campaigns need regular adjustments and modifications to perform well. We monitor your Ad Grant campaigns and make any adjustments they need in order to perform as well as possible. Each month we will send you a progress report detailing the work we completed. Our reporting includes details about the visitors to your website, the content that is performing well, and keywords your website is ranking for in search engines. RankMonsters Ad Grant Management $299+/mo. Rural Area or Niche Focus? Ask about our discounted pricing. We are excited to work with your organization. Please complete the form below. We will contact you within 24 hours to get started. *Applying for the Google Ad Grant is a free service offered by RankMonsters. Completing this form is not a commitment to use our management services. Need More? View our deals & packages.